Moscow has always been and still remains the city of theatres. This magnificent capital attracts theatregoers from all over the world. Here are the theatres we like and truly recommend you to visit. On 28 March 1776, Catherine II granted the prosecutor, Prince Pyotr Urusov, the privilege of maintaining theatre performances of all kinds, including masquerades, balls and other forms of entertainment. And that is where Moscow’s Bolshoi (Big) Theatre starts its history. The building of the Bolshoi Theatre, one of Moscow’s symbols, was opened on 20 October 1856, on Tsar Alexander II’s coronation day. 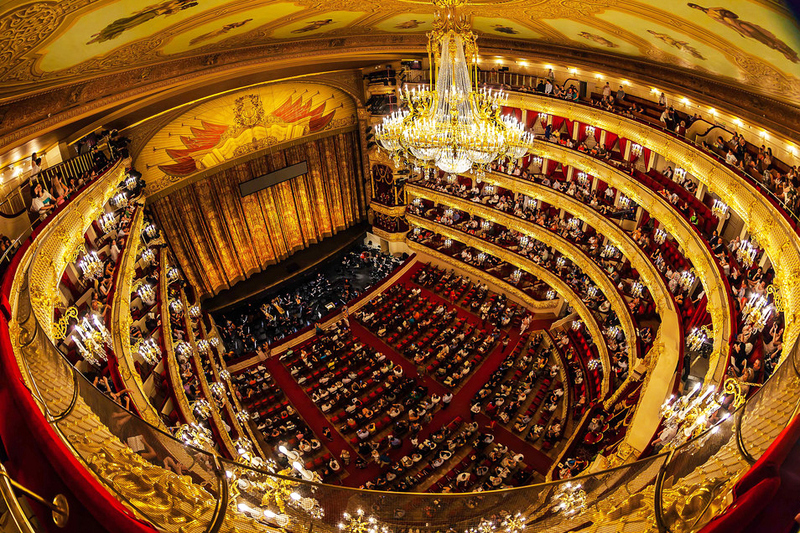 Visit the theatre to watch the magnificent Russian operas and ballets. Make sure you are going to see the performance on Historic Stage. One of the oldest Moscow theatres – the Maly (Small) Theatre – is situated on Teatralnaya Ploschad (Theatre Square) neighboring the famous Bolshoi (Big) Theatre. 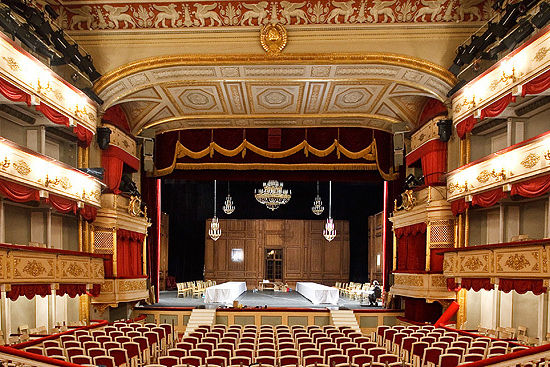 The history of the theatre dates back to 1756 when the theatre company was founded by Catherine the Great’s will. During the 19th Century the theatre has become a favorite stage for some of the Russian most noted playwrights, in particular Ostrovsky who premiered 40 of his 52 plays here. If you want to enjoy classical Russian theatre, see plays written by Chekhov, Pushkin, Ostrovsky and Gogol the Maly is probably one of the best choices. The theatre follows Russian drama tradition and makes classical productions. So with a little prior knowledge of the general plot of the play will be able to follow the action quite well without the help of subtitles. The theatre was established by K. S. Stanislavsky and V. I. Nemirovich-Danchenko in 1898 under the name Moscow Art Theatre (MKhAT). This is the first theatre in Russia, who practiced the real reform and together with young actors created modern repertoire. Nevertheless, in today’s Theatre classic world literature is staged as well as the modern patriotic literature. It is loved by Muscovites and the capitals guests for traditions, wonderful cast and bold experiments. Sovremennik Theatre was founded by a group of young Soviet actors during the «Khrushchev Thaw». Among the founders were Oleg Yefremov, Galina Volchek, Igor Kvasha, Liliya Tolmachyova, Yevgeniy Yevstigneyev and Oleg Tabakov, now famous Russian actors. The debut production was Victor Rozov’s play «Forever Alive». 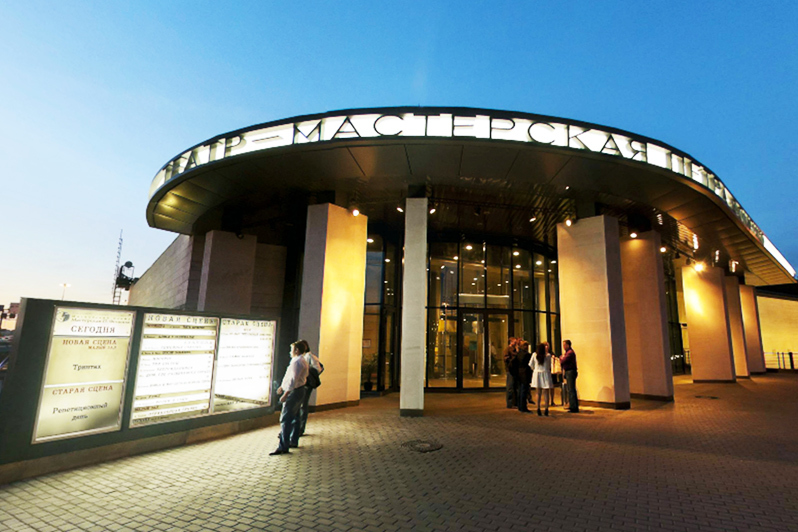 Nowadays it is one of the most popular Moscow theatres, with interesting premiers and wide basic repertoire, involving masters of Moscow stage and talented beginning actors. This is a young and progressive theatre. 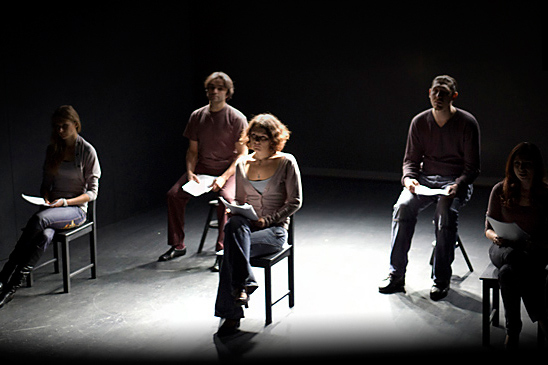 The troupe consists of actors with innovative way of thinking and staging plays. They unite the passionate desire to experiments and classic Russian theatrical traditions. During 15 years of theatre’s existence there were created 36 plays which were rewarded with national and international theatrical awards. The fascinating building in pseudo-Russian style has been taken by theaters from 1885. Nowadays, Theatre of Nations, a unique structure that has no analogues in national theatre, is located there. Today Theatre of Nations is one of the most successful producer project with ambitious and realized art plans. The activities of the theater are in many ways exclusive. Thus, it introduces the Russian audiences to outstanding examples of European theater. The Theatre of Nations holds a variety of theatre programs, organizes national and international festivals, presents the best Russian and foreign productions of all genres and trends and produces its own performances. Lack of a constant troupe allows keeping star cast and genre flexibility — from drama and comedy to post-drama and ballet. Recently renovated Gogol Centre is a theatre that seeks a constant dialogue with reality. Debates and conferences on the most current themes in the discussion club «Gogol+», world premieres of the movies that have never been released in Russia in the program «Gogol cinema», rare recordings of the great 20th and 21st centuries theatre performances in the public multimedia library, large music concerts and of course performances on several stages by the most remarkable Russian and foreign directors. All this makes it possible to explore the vast spheres of modern Art while remaining in the same space. 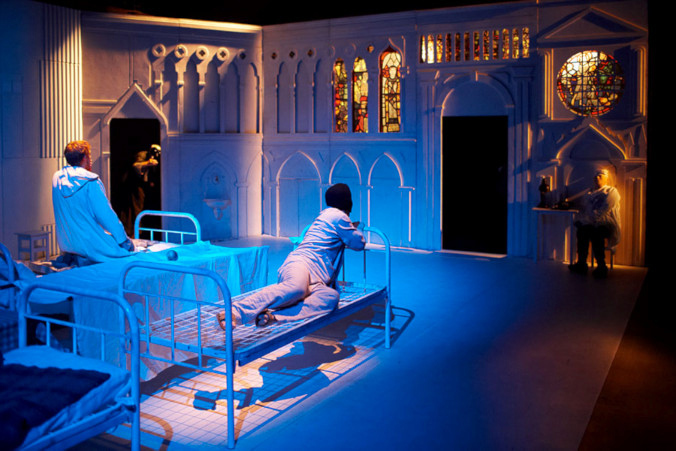 Praktika Theatre is a small theatre venue and company focused on new drama. 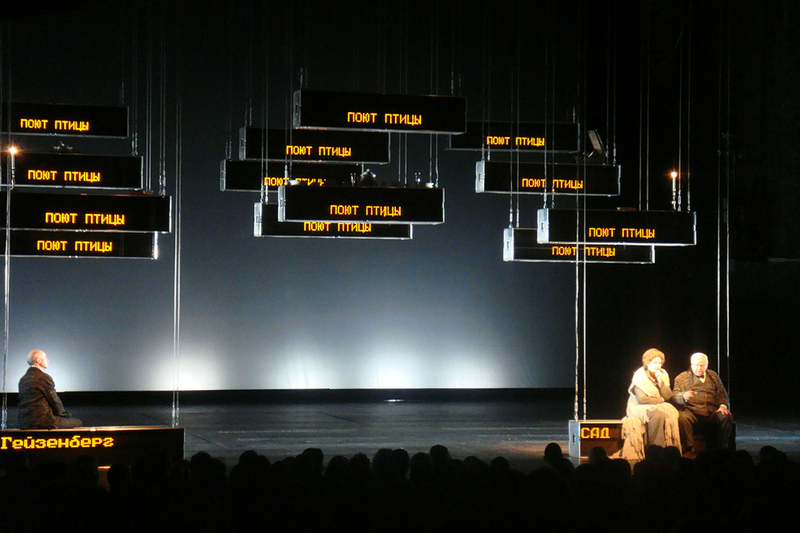 it was opened in 2005 as a theatre in search of contemporary topics and stories, of the present-day language, a new style and a new generation of playwrights and productions. 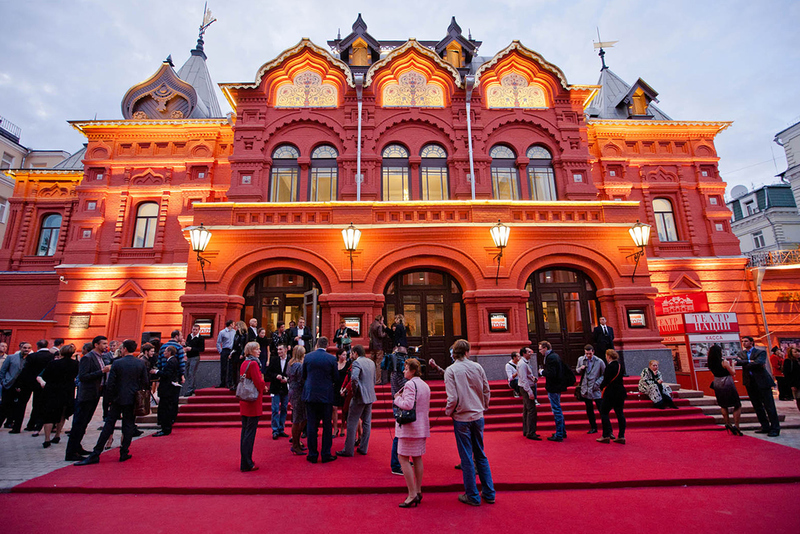 Today this is probably the only theatre in Moscow, which sharply addresses political and social issues and is supported by distinguished directors from Russia and Europe. The name of the theatre – «Praktika» means that the theatre offers various practical workshops. Praktika offers yoga seminars, psychology and dance workshops. There is a cinema club which introduces Moscow to recent international film releases. 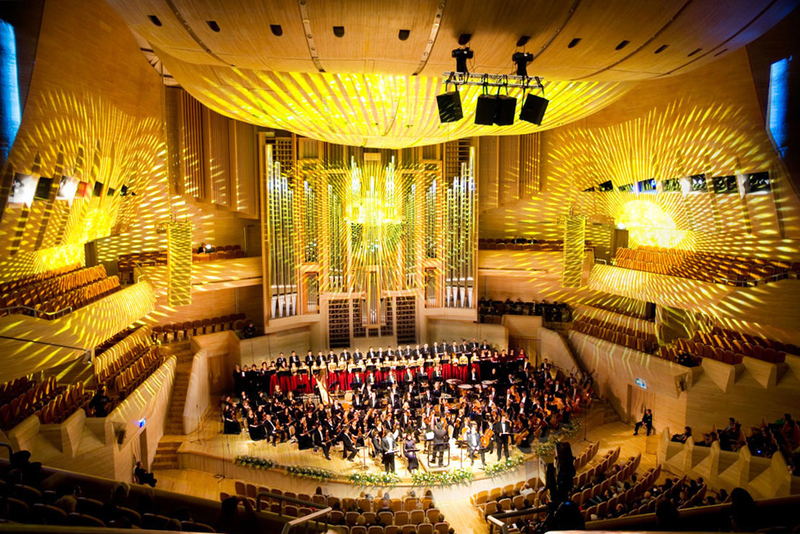 This gorgeous music center, settled down at the banks of the Moskva River, organizes performances of national and foreign symphony orchestras, chamber ensembles, solo instrumentalists, opera singers, ballet dancers, theatre companies, jazz bands, variety and traditional ensembles. It accommodates three concert halls placed on three different levels and having separate entrances. Each hall is executed in its own style and special array. The rows of seats ascend up in a form of an amphitheater providing a good view of the stage from every place of the auditorium. There is a summer terrace on the podium of MIPAC designed for different open-air promenade concerts and festive events. It has a common architectural space with the winter garden and the foyer of the Great Hall. 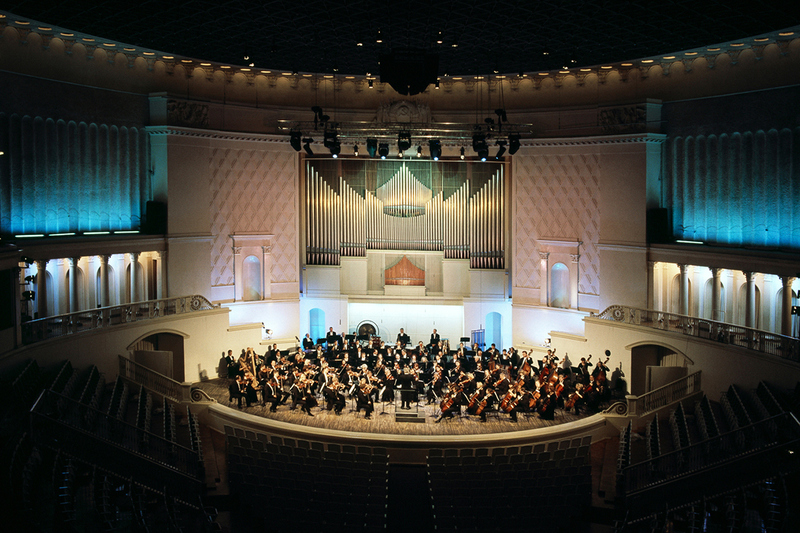 Created in 1922 on the initiative of Anatoly Lunacharsky, the Moscow Philharmonic was intended to display the vitality of art in the newly formed country, with the capability of making bold experiments and yet profoundly understanding the centuries-old traditions of worldwide musical culture. During its long history the Philharmonic experienced good times and bad. Today the Moscow Philharmonic has become the country’s leading concert organization, operating both in an artistic capacity and as a producer. It acts as the principal organizer of large-scale international projects involving Russian ensembles. You can come here to enjoy best pieces of classical music performed by world famous musicians.